If you haven’t already you absolutely must read Let’s Just Pretend this Never Happened. Its her first book and was side-splitting hilarious! ‘To Say Nothing of the Dog,’ by Connie Willis. It’s a quirky fast read. Bernadette is a memorable character for sure! I just read The Rosie Project, and that was pretty funny. “Pest Control” by Bill Fitzhugh. I listened to this on CD and it was hilarious! Oh his book about Australia is marvelous too: In a Sunburned Country. He does handle a few topics that are heavier very briefly, like racism, but I never wanted that book to end. So vivid, so perceptive, such a fantastic, light, funny but not over the top, style. Any of Jen Lancaster’s memoirs. New one coming this month! Anything by Alexander McCall Smith. The Ladies Detective Agency series are all very humorous. Also the Scotland Street series. The Isabel Dalhousie Mysteries as well. All are pretty humorous and entertaining. Catch 22 was the funniest thing I’ve ever read. I’ve been binging Wodehouse for months and just started The Sisters Brothers! The Princess Bride, The Early Janet Evanovich books, anything by Christopher Moore. Anything by Douglas Adams or Terry Pratchett. Anything by Mary Kay Andrews. Southern Chick Lit but lots of humor. In God We Trust, All Others Pay Cash by Jean Shepherd. Published mid-60’s. Totally agree. If you liked a Christmas Story, you will love it. Fishing story is my favorite. A friend gave me “In God We Trust…” years ago. Read it on a United flight in a seat facing the back. When disembarking, 3-4 people, with pen & paper in hands, asked what I was reading. I had laughed so much they wanted to get the book! Still have the book, 40 years later. My entire family each took a turn with that book on a summer vacation. It is great. Tim Dorsey’s Florida series starring Serge Storms and Coleman. 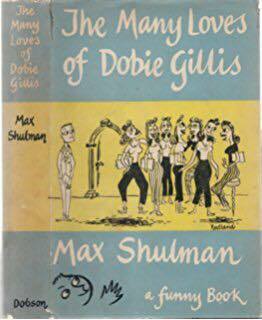 Also “Vile Bodies,” “Decline and Fall,” and “The Loved One” by Evelyn Waugh. The Serge Storms novels by Tim Dorsey. Anything by A.J. Jacobs, but my favorite by far was The Year of Living Biblically. Have you read: “The Extraordinary Journey of the Fakir Who Got Trapped in an Ikea Wardrobe “? Anything from David Sedaris. His sister Amy also has two books out (on crafting and entertaining) which are hilarious. Let’s Pretend This Never Happened – Lawson. I was going to suggest this as well! I read Lamb. I really enjoyed it. 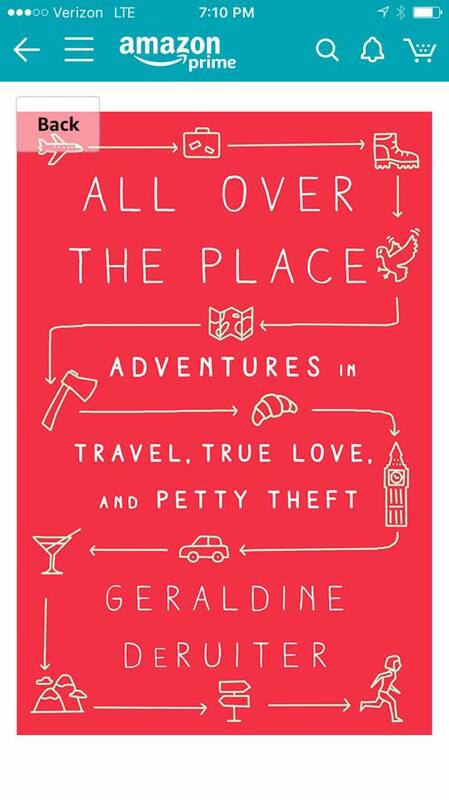 I was going to suggest “This Is Where I Leave You.” For gallows humor – Can’t We Talk About Something More Pleasant? by Roz Chast. 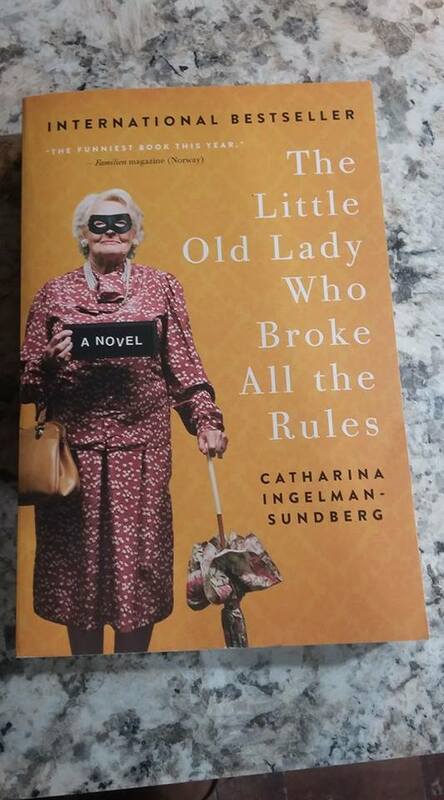 If you have done or are doing eldercare, the book takes a humorous yet honest view of a complex subject. I laughed out loud at Jen Lancasters books like, My Fair Lazy, and Such a Pretty Fat. There are others. Bitter is the new black is her first. Bill Bryson books always leave me laughing. Notes From a Small Island, Neither Here Nor There, Lost Continent. Yes!! All of Bill Bryson’s books are smile-worthy. Yes, this was very funny! Down Under (Bill Bryson). Me Talk Pretty One Day (David Sedaris). .
Bill Bryson makes me laugh out loud. *Anything* by Bill Bryson. Funniest man ever. Jenny Lawson – Let’s Just Pretend This Never Happened. 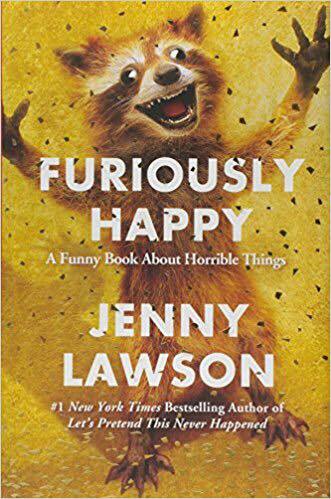 She also wrote Furiously Happy. Got alot of funny looks while reading these books because I would burst out laughing. Truly great books! Not sure if it’s actually considered humor, but I’m reading Shonda Rhime’s Year of Yes, and she’s hilarious! Anything by Sarah. And you’ll learn something too. AND, if you’ve heard her enough on TAL or the Daily Show, you’ll end up reading it in her voice which makes her books even more amazing. I am saving this post! So many great suggestions and I usually look for something light and funny after reading something heavy or dark. Thanks!! Annie Freeman’s Fabulous Traveling Funeral – its funny but also thoughts to ponder. One of my faves! Old, but funny! Wanda Hickey’s Night of Golden Memories, Jean Shephard. Laugh out loud! I loved A Walk In the Woods! Posh Penny. Also binged on Wodehouse. The Country Life by Rachel Cusk. I love his tv series! Spike Milligan’s WW2 recollections are by turn extremely funny and very bleak. Anything written by Christopher Moore or Carl Hiasen. The Spellman Files by Lisa Lutz. David Sadaris. Tina Fey and Amy Poehler (sp) has a book out. Straight Man by Richard Russo; Shrill by Lindy West; One Day We’ll All Be Dead And None of This Will Matter by Scaachi Koul. The Dortmunder series by Donald Westlake. Some of Elmore Leonard’s novels were very funny, like Get Shorty, Maximum Bob, or Rum Punch. I recently read Buck Fever by Ben Rehder – funny, and I look forward to more of his Blanco County mysteries. The Eyre Affair by Jasper Fforde. Dave Barry, P. G. Wodehouse, almost anything by Terry Pratchett.